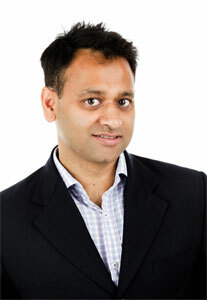 Dr. Tanveer Ahmed is a psychiatrist, author, local councillor and media commentator. 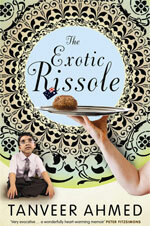 His first book is called The Exotic Rissole and is published by NewSouth Books. Tanveer was elected to Canada Bay Council as a local councillor in September 2012, is an appointee to the Australian Multicultural Council and is a contributor to the Channel Seven program Sunday Night. He has previously been a columnist for the Sydney Morning Herald and an SBS television cadet journalist. He has also performed comedy, co-hosted a prime time game show and appears in various media. I recently read and loved a book by a Haitian-Canadian author, Dany Laferiere. He wrote a book called The Enigma of the Return, about returning to his Haitian village and contemplating a father he barely knew. It won some major French awards, but translates well into English. Incredibly, it was written in a combination of verse and prose, which sounds unusual, but works very well. In my area, Concord Library is a beautiful social space and example of the new philosophies surrounding what a library should do. It is geared towards events and kids story time and has a beautiful ambience- a real escape from hectic modern life, but not somewhere you feel like you have to 'shush' the whole time. It's always amazing what some people read into your work. I did read a review that seemed to believe I was in a rock band, which had no overlap with anything I've ever done. I am musically retarded. I suspect it was a simple mistake. As I approach turning forty, I think the striving of the past decade or so feels less urgent. My mother told me it was better to do fewer things very well and concentrate on the areas where I can make the best contribution. I am trying to apply that model more in my working life, while still enjoying the joy and challenges that come from being a husband and father. I am a psychiatrist and am very interested in writing next about the stories in my work. I feel like the ideas around mental health go to the heart of the modern condition, be it the race towards individual perfectibility, finding meaning without religion and forging firm foundations in a time of immense upheaval. My first book is effectively a memoir about trying to forge an identity amid a very wide range of cultural and religious influences. Want to know more about The Exotic Rissole ? Can life be too spicy? Suffering from an overload of turmeric and the complexities of growing up in an immigrant Bangladeshi family in Sydney's west, eleven-year-old Tanveer Ahmed thinks it probably can. After joining a cricket team that gets mistaken for a terrorist group, a stint as a Bollywood-style game show host and discovering an aversion to dead bodies as a medical student, Tanveer, quite inevitably, decides he'll become a psychiatrist.